Glasgow Warriors have announced that lock Brian Alainu'uese has signed a new deal with the Pro 12 club. The former Samoa Under-20 made his professional rugby debut in 2013 for Waikato and also made two appearances for the Super Rugby side Chiefs in 2015. His debut for Glasgow Warriors came in 2016 and now has signed a two-year contract which will keep him with the Scottish regional club until May 2019. He has made 15 appearances with the Scotscoun outfit until now including a man of the match performance against Dragons last month. "I've really enjoyed my time in Glasgow. I've extended my contract for two years and I'm excited for what lies ahead, he said to the official website of the club. "There is a lot of competition within the squad and I've learnt a lot from the other second-rows at the club. "I have to pinch myself when the supporters chant my name, I've never had that before and that gets me going and keeps me playing hard for the team and the fans. "It'll be good to work with Dave Rennie again next season, but at the moment I'm just focusing on Gregor (Townsend) and Dan (McFarland) and doing what they want me to do." 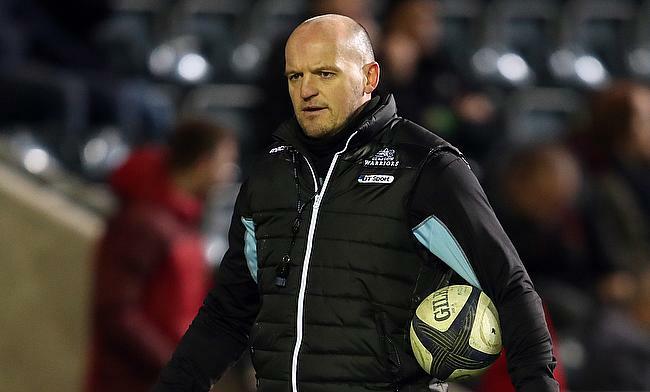 Glasgow Warriors head coach Gregor Townsend, who is set to take in charge of Scotland from June was delighted with the contract extension of Alainu'uese. "Brian has fitted in really well since joining us earlier this season. "He has made a number of improvements both physically and in his set-piece play, and he played well during the 6 Nations window. "We believe that there is a lot more to come from him and we're delighted that he'll continue his development at Scotstoun over the next two years."